It’s not something I would recommend many people to do, but home barbering is sometimes a necessary evil for me. When it comes to my hair I am pretty impatient and when growing my hair on the top, I often dislike how thick my hair gets around the sides and the back. 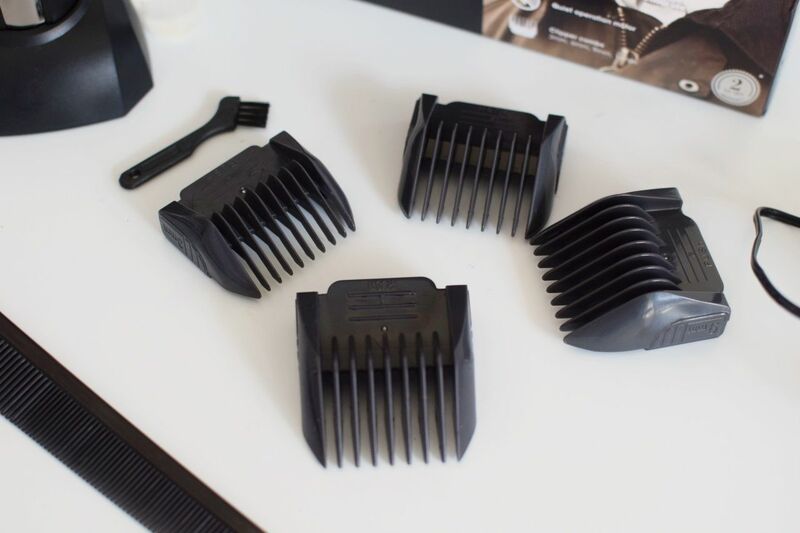 I have probably owned around 15 pairs of clippers in all shapes, sizes and prices and having spent a long time in barbers and talking to numerous hairdressers over the years I actually have an interest in hairdressing and the skills that go into it. 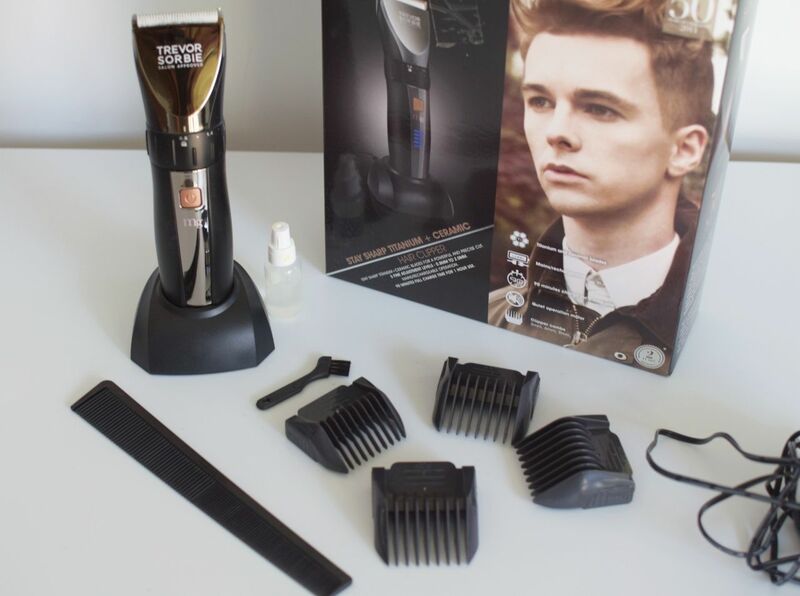 So when I received the Trevor Sorbie Titanium + Ceramic Professional Hair Clippers to review I was pleasantly surprised. It has four detachable combs and also has five different length settings on the clippers themselves, so if you would like a longer length for trimming you can use the adjustable length on the clippers and add the relevant detachable comb to ensure you manage the length. Since my recent visit to barbers Gentlemen’s Tonic, I have been trying to grow some length back on top and having my hair cuts high and tight, meaning the length on the sides has usually been a two (6mm) at the barbers and trimming down the sides. After a month or so with varying lengths, typically a five or six (adjusting to 2mm length on the clipper and adding the 4 (12mm) comb) this allows me to take the weight out easily and loosely connect the sides and top so that I can grow out the top in between barber visits. Something what I have found with other clippers that I have tried, is the weight or the shape is not ideal for cutting or trimming your hair. 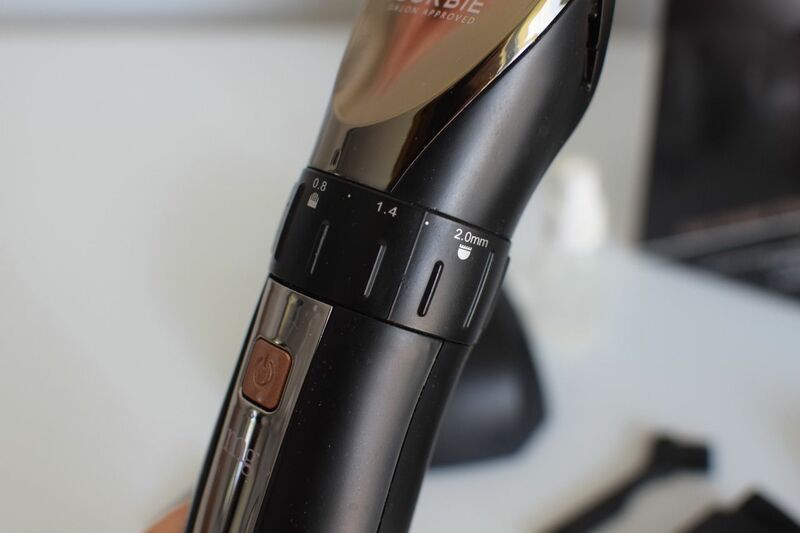 This Trevor Sorbie clipper however is easy to use; it is a good shape in the hand and being lightweight it really is nice and easy, especially being cordless you don’t have an annoying cable to get in the way or to worry about. I have trimmed my hair a few times with the clippers and found them to be everything you might want in clippers for home use. Although these clippers are bigger than my dedicated beard trimmer, the varying lengths are great to keep your beard nice and trim and if you have a real man’s beard it is great to trim a longer fuller beard. I’m far from a trained barber so I would recommend a visit to a good barber or hairdresser, but if you like your hair short or very neat and are a confident with cutting hair at home these light-weight clippers are well worth the money and offers an affordable durable pair of cordless clippers that will last. Previous ArticleWhat’s In My Spa Bag?